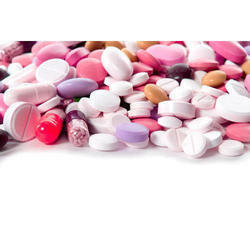 Prominent & Leading 100% Export Oriented Unit from Kolkata, we offer sunitinib malate capsules, sorafenib tablets, aprepitant capsules, febuxostat tablets, isotretinoin capsules and geftinat tablet. 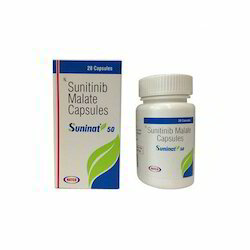 To meet diversified requirements of our prestigious clients, we are engaged in providing an excellent quality Sunitinib Malate Capsules. Provided capsule is processed by utilizing optimum quality chemical compounds and advanced technology in compliance with medical standards of quality. Apart from this, our offered capsule is available in accurate packaging to retain its quality for long. 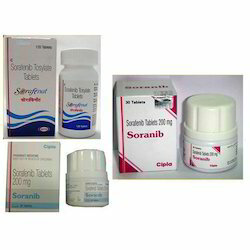 Reckoned as leaders in this industry, we are providing our esteemed clients with excellent quality Sorafenib Tablets. This is used to treat cancer by stopping the growth of cancer cell in the body. We assure our clients that it is quality tested on predefined parameters, in order to meet standards set by regulatory bodies. Apart from this, our prestigious clients can avail this tablet, as per their needs, at highly competitive prices. 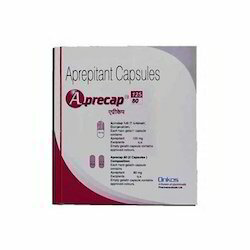 With the support of our reliable vendors, we are able to offer a qualitative range of Aprepitant Capsules. These capsules are accurately formulated using optimum quality ingredients and latest techniques in compliance with set medical standards. Further, we offer this range is in various packaging options at competitive prices to our clients. It is used only in adults to prevent nausea and vomiting that may be caused by surgery. 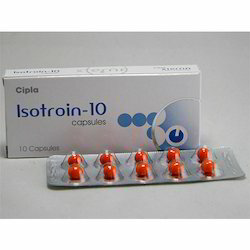 Our firm is a renowned entity, engaged in offering best-in-class Isotroin Capsules. This used to treat acne which is severe, or which has not got better with other treatments such as oral antibiotics or skin treatments. It works by reducing the production of your skin's natural oil. As per the requirement of our clients, we provide this capsule in various packaging options. In order to ensure its flawlessness, this capsule is tested against various quality parameters by our veteran quality controllers. 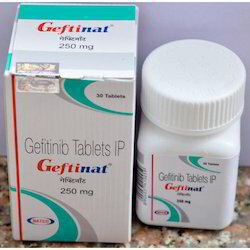 Reckoned as leaders in this industry, we are providing our esteemed clients with excellent quality Geftinat Tablet . This is used to treat cancer by stopping the growth of cancer cell in the body. We assure our clients that it is quality tested on predefined parameters, in order to meet standards set by regulatory bodies. Apart from this, our prestigious clients can avail this tablet, as per their needs, at highly competitive prices. 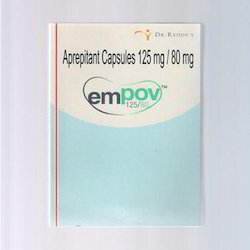 Aprepit belongs to a class of medications called Antiemetics. Aprepit is also indicated for the prevention of acute and delayed nausea and vomiting associated with initial and repeat courses of highly emetogenic cancer chemotherapy. 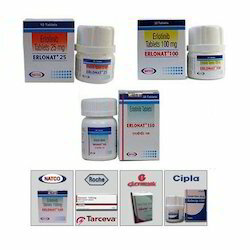 Erlotinib Tabs that is acquired from our reliable vendors. 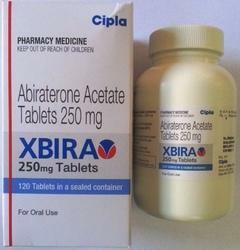 This prescription drug is used for the treatment of non-small cell lung cancer. Correctly composed and extremely effective the batch is used in combination with other cancer medicine for the treatment of pancreatic cancer. It slows down the growth of cancer cells. 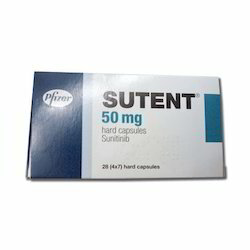 Backed by our flourishing business processes, we are able to offer effective Sutent Capsules. Precisely processed in sync with quality standards using excellent quality chemical compounds, the offered capsule is the preferred choice of the customers. This is used to treat certain types of cancer (kidney, pancreas, and intestinal). Sunitinib works by stopping or slowing the growth of cancer tumors. 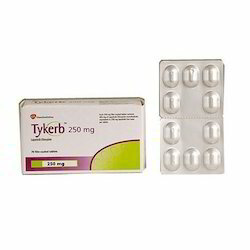 We are considered amongst the most prominent name occupied in the offering of a wide assortment of Gefitinib Tablets. This tablet is used for treating lung cancer. The offered tablet is formulated using optimum grade basic chemicals and employing modern processing methodology in accordance with the medical standards. Further, to ensure its quality and effectiveness, this range is tested on diverse aspects under the supervision of qualified professionals. Cancer is commonly defined as the uncontrolled growth of cells, with loss of differentiation and commonly, with metastasis, the spread of cancer to other tissues and organs. Cancers are malignant growths. In contrast, benign growths remain encapsulated and grow within a well-defined area. Drug therapy is used when the tumor has spread or may spread, to all areas of the body. Several classes of drugs may be used in cancer treatment, depending on the nature of the organ involved. For example, breast cancers are commonly stimulated by estrogens and may be treated with drugs that inactivate the hormones. Majority of antineoplastic drugs act by interfering with cell growth. Since cancerous cells grow more rapidly than other cells, the drugs target those cells that are in the process of reproducing themselves. As a result, antineoplastic drugs will commonly affect not only the cancerous cells, but others cells that commonly reproduce quickly, including hair follicles, ovaries and testes, and the blood-forming organs. 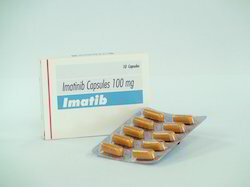 Imatinib is a drug used to treat certain types of cancer. 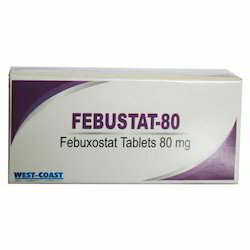 It is used in treating chronic myelogenous leukemia (CML), gastrointestinal stromal tumors (GISTs) and other cancers. Armotraz tablets 1mg are used to treat breast cancer in postmenopausal women, as first line therapy for early, advanced or metastatic breast cancer. Armotraz tablets 1mg are also used as an additional treatment for early breast cancer in conjunction with other breast cancer treatment (tamoxifen) or if tamoxifen therapy has not helped prevent the progression of the tumor. 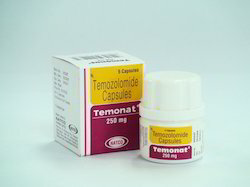 Temozolomide is probably the most important discovery in the new millennium. This drug brought hope to thousands of brain tumor patients across the world. Temozolomide showed excellent survival benefit in patients of glioblastoma multiforme, a common and aggressive form of a brain tumor which did not allow survival beyond a few months with conventional treatment involving surgery and radiation. 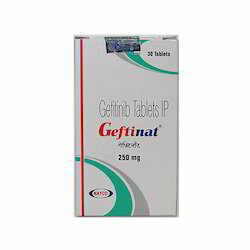 Geftinat- Gefitinib 250 mg. Geftinat comes in 250 mg tablets form. 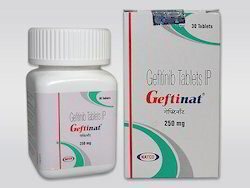 Geftinat is manufactured by Natco Pharma Ltd. Geftinat is an Indian version of Iressa tablets. Lapatinib Tablets is a chemotherapy drug. It targets specific enzymes within cancer cells and stops the cancer cells from growing. This medicine is used to treat some advanced breast cancers. It is often used along with other cancer treatments. Fabricated utilizing dynamic fixings, these Antibacterial Tablets have a more drawn out time frame of realistic usability. These are anti-toxin/antibacterial operators that assistance in avoiding fluctuated kind of torments endured by different patients. We verify that all the quality standards are properly taken after while preparing these tablets. 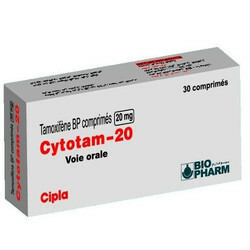 Cytotam contains Tamoxifen which is an antagonist of the estrogen receptor in breast tissue. Cytotam has been the standard endocrine (anti-estrogen) therapy for hormone-positive early breast cancer, although aromatase inhibitors have been proposed for postmenopausal women. Some breast cancer cells require estrogen to grow. Estrogen binds to and activates the estrogen receptor in these cells.Cytotam Tamoxifen is metabolized into compounds that also bind to the estrogen receptor but do not activate it. Furthermore tamoxifen prevents estrogen from binding to its receptor. Hence breast cancer cell growth is blocked.